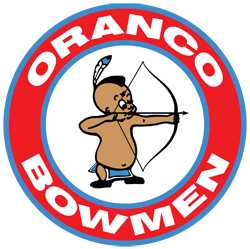 Members who would still like a paper copy of the Newsletter can log onto our website at Oranco Bowmen and then click on the "About" tab and then click on the "News" tab. From there, Members can print out a paper copy. We apologize for any inconvenience. Thank you. The State Target went smoothly. When you have a great team that works together, things just seem to be easier. The weather turned out great, not too hot. 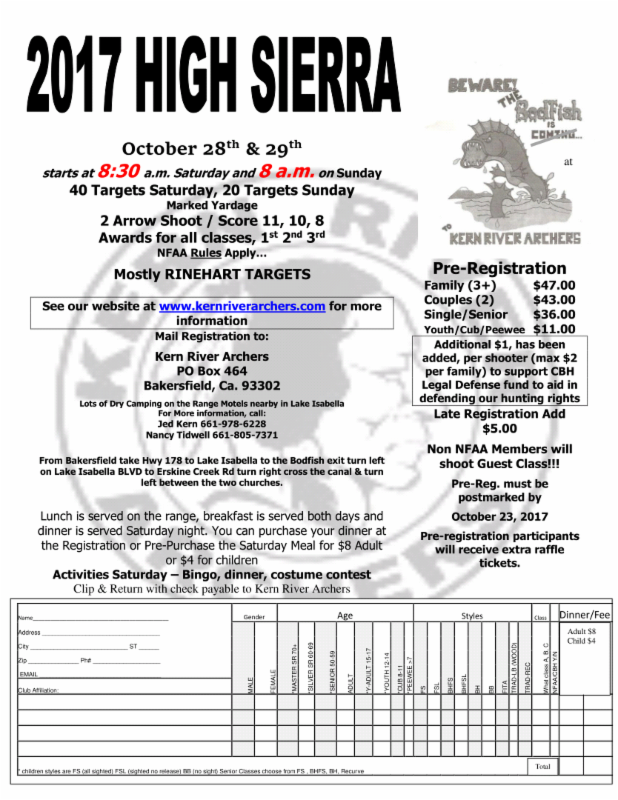 There is still a lot of time this year to get out, and go to a tournament. Not just Oranco, other ranges also benefit from us shooters. When we support other Clubs, we preserve the future of our sport and build lasting friendships with Members of other Clubs. Happy Halloween my fellow archers, this year has flown by. Before we know it, Thanksgiving and then on to the Christmas season. 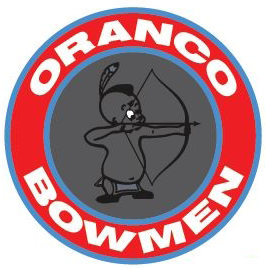 Make sure some of you attend the upcoming work party set for Saturday, October 7th for the Tomahawk shoot (All you can eat lunch) compliments of Oranco Bowmen. 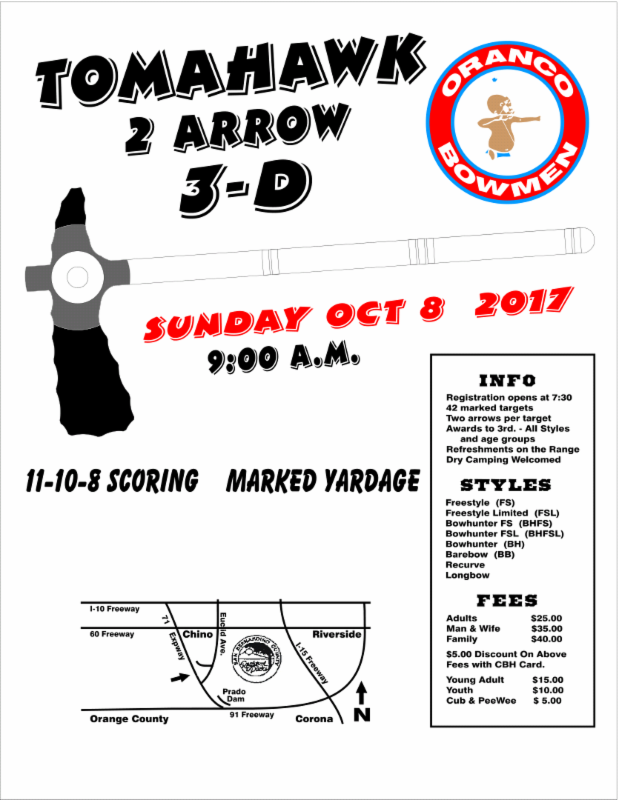 We can sure use your help to clean up the range for the Tomahawk Shoot to be held on Sunday, October 8th. I have noticed a large number of tumbleweeds throughout our site, so hopefully the mowing guys can get some of those cleaned up and knocked down. 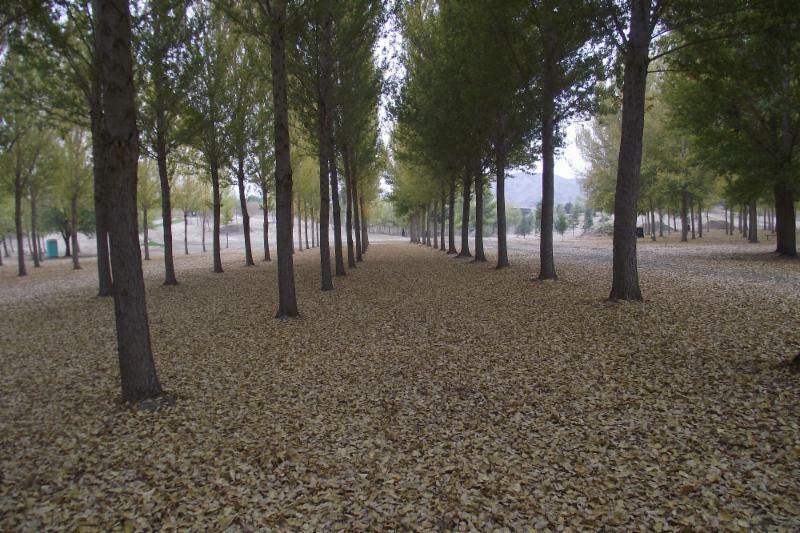 We are currently going to get the trees trimmed or taken out completely at the practice butts. Around this time of year, the range will transition from dried up grass to new growth after our first noticeable rain storm of the season, which usually hits in the next couple of months. The new growth adds to the ground cover that exists now. The Club is now completing another cook shack renovation in the sniper area located just to the northwest of the Club House, we would like to thank Jason Duysings for this remodel, along with other Oranco Members, and Board Members that have contributed to getting this project off the ground. 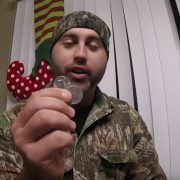 Joe mentioned that the work on Target # 15 has been completed. Todd Dancer will be working on adding sharpened points to all of the Animal Stakes, Thank You, Todd! 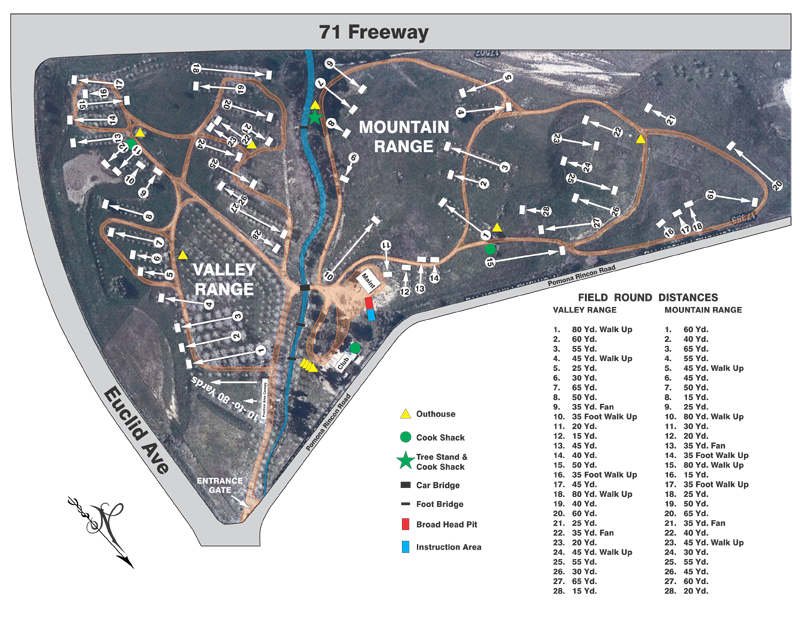 It was mentioned that the Board Members that open the Range on Sunday need to be prepared with the proper change for our Public Shooters. There was a suggestion made to create a sign stating "No Credit Cards, No Checks, Cash Only". Chriss mentioned that the State 900 is becoming a more popular shoot with each passing year. He mentioned that with the help of Tony, Pete, and David the shoot went smooth. Chriss mentioned that there were some Target Reassignments made recently and that he is prepared to make more in the future if necessary. There will be another Work Party scheduled on October 7th, 2017 in order to install some of the new Carpet Bales. We will also need some help with target gluing. 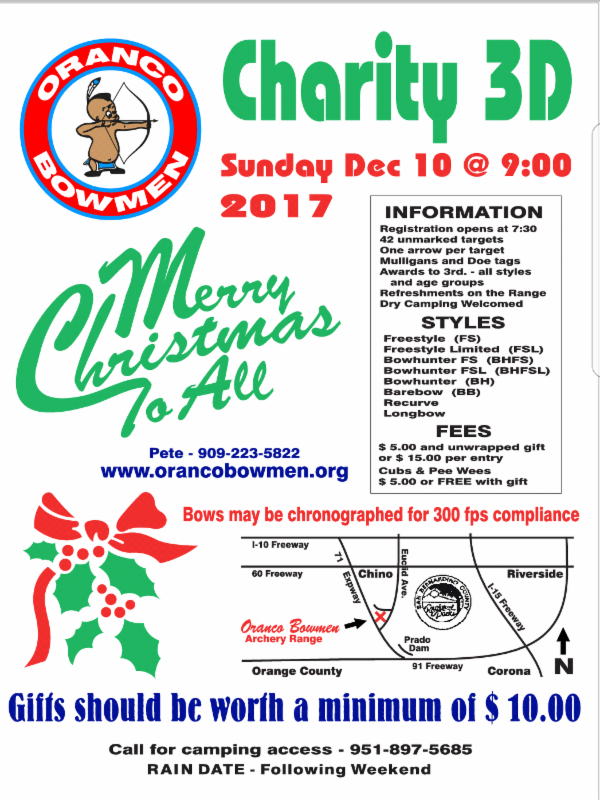 Be prepared to sign up if you want to save some money on next year's dues..
Chriss has already received some requests for the old Carpet Bales. There was a discussion in regards to the effectiveness and usefulness of thin vs. thick bales. There was a discussion in regards to the advancement in bow and arrow technology resulting in faster arrows penetrating too far into a target vs. the manual exertion of trying to pull the same arrows from a backstop or target and the resulting wear and tear on the above mentioned target. The State Field 900 resulted in approximately 110 shooters this year. Bill mentioned this is the time of year to be extremely aware of the Fire Hazard due to the current dryness. He also mentioned to be aware of Rattlesnakes. 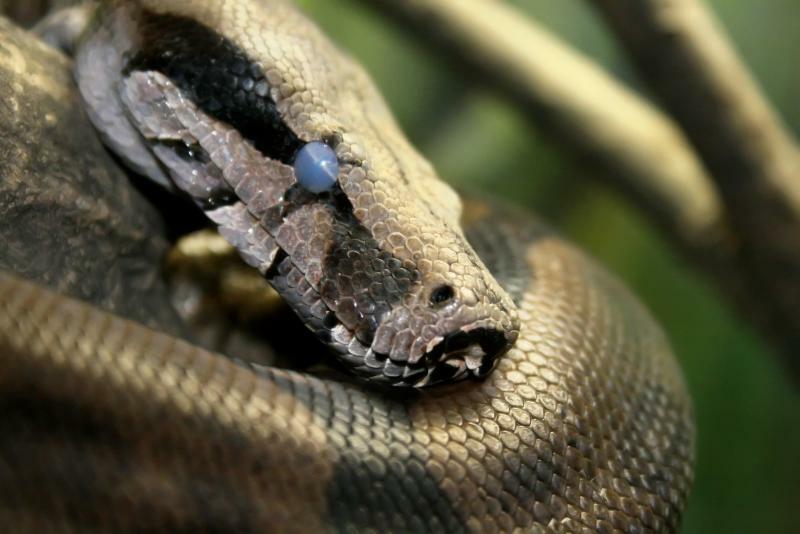 He suggested that we should have an article in regards to snake bite first aid. See the included article in this Newsletter. Chriss mentioned that there have been several Mountain Lion sightings early mornings, especially near watering holes. Membership Chair stated we should be at approximately 371 Members. The Wi-Fi issue for the Membership Chair is no longer an issue as she has moved to an area with better Wi-Fi capabilities. Membership Chair is creating a new Membership Application and will forward it to the Board once it has been completed. Joe has laid out the plans for the Sniper cook shack. The tear down of the old cook shack has been completed. Bill Waltz has performed some of the preliminary grading. Finish grading will occur shortly. The goal is to have this one done by the Tomahawk Shoot in October. Cook Shack Workers Needed : Positions are still available for volunteers to help out during the upcoming shoots. Tony Tobin will no longer be accepting calls for cook shack volunteers. In the future, please contact Terry Lopez in order to reserve your spot at: (562) 900 - 4487. First Come, First Serve. 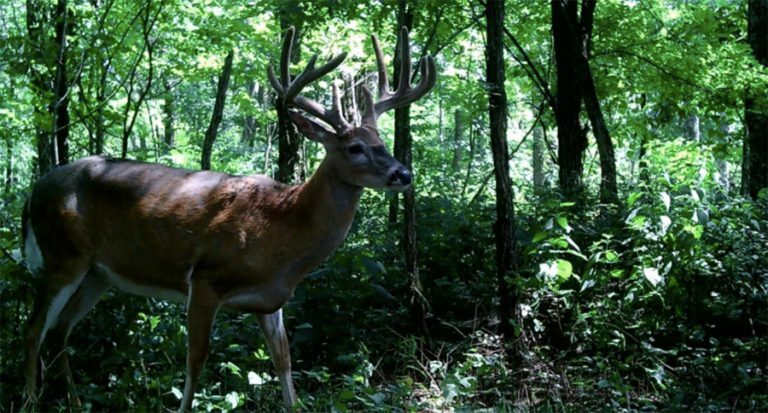 VIDEO: EHD Outbreak Hits Whitetail Deer, Here’s What You Need to Know! Epizootic Hemorrhagic disease (EHD) has been reported in multiple Southeastern and Midwestern states, and we’re seeing significant deer kills because of it. Impacts of EHD can be quite significant; however, high mortality rates are typically localized. Be aware, but don’t panic. The good news is that the first frost kills the biological vectors the disease and it will no longer spread at that point. 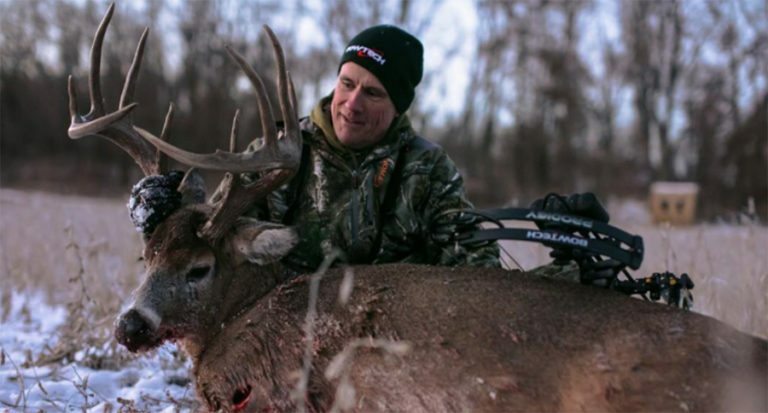 Michael Hunsucker has been hunting big bucks on Heartland Bowhunter TV for years. In this video, he shares his methods for aging deer on the hoof. Catch their new season of "Behind The Draw" for some awesome deer hunting. Scalps & Skins "Moonlight Shoot"